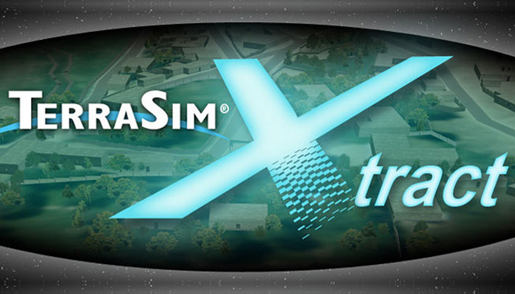 Xtract from TerraSim®, a new and revolutionary concept, fully supports legacy database processing for reuse within even the most demanding modeling and simulation applications. Xtract is a low cost, standalone application with support for 64-bit Windows workstations. Using TerraSim's proven and advanced terrain generation technology, Xtract uses a clean and simple user interface to extract geospatial data from legacy input databases and simplify the legacy reuse process. A wide range of geospatial data in multiple formats can be pulled from legacy databases, including digital elevation data, geospatial vectors (e.g., buildings, surface materials, roads, linear drainage), and 3D model libraries with textures. Xtract simultaneously extracts and converts 3D models to other usable formats, such as 3DStudioMax, COLLADA, OpenFlight, OpenSceneGraph, VBS3 P3D, tiled scenegraph (TSG), and VRML formats. See the table below for currently supported conversion formats. See our Xtract brochure for more information.